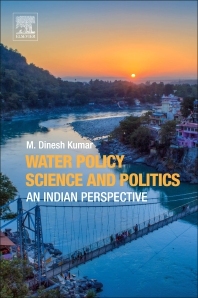 Water Policy Science and Politics: An Indian Perspective presents the importance of politics and science working together in policymaking in the water sector. Many countries around the developed and developing world, including India, are experiencing major water scarcity problems that will undoubtedly increase with the impacts of climate change. This book discusses specific topics in India’s water, agriculture and energy sectors, focusing on scientific aspects, academic and political discourse, and policy issues. The author presents cases from the interrelated sectors of water resources, supplies, sanitation, and energy and climate, including controversial topics that illustrate how science and politics can work together. 3. Recent Droughts in India: Nature’s Fury or Poor Statecraft? 7. Irrigation Miracle in Madhya Pradesh: What has worked?